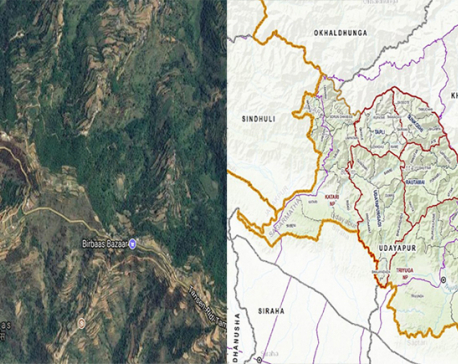 KATHMANDU, June 21: The total 2,318 people have lost their life in road accidents across the country in the Nepali month of Jestha, second last month of the current fiscal year with 168 in the Kathmandu valley alone. Narrow and twisting roads, vehicles carrying passengers beyond capacity and negligence on the part of drivers are some of the factors blamed for road accident. Kathmandu valley on average records more road accidents comparatively. Metropolitan Traffic Police Division Chief Basanta Kumar Panta said a total of 5,781 road accidents occurred in the valley in the same period killing 168 and injuring 4,099. On average, seven people are killed in road accident on a daily basis. Addressing a one-day conference related to the control of road accidents here, Chief of Kathmandu Metropolitan City Chief Administrative Yadav Prasad Koirala said road accidents could be minimized by obeying traffic rules. The Metropolis was working to install traffic lights, build overhead bridges and manage bus parks in the Valley, he informed. Chief District Officer Kedar Nath Sharma stressed the need for following general individual practices like taking a walk on occasions instead of driving. Likewise, other speakers like civil society leader Kanak Mani Dixit and artist Kiran KC pointed out the need for replacing small vehicles with public ones.